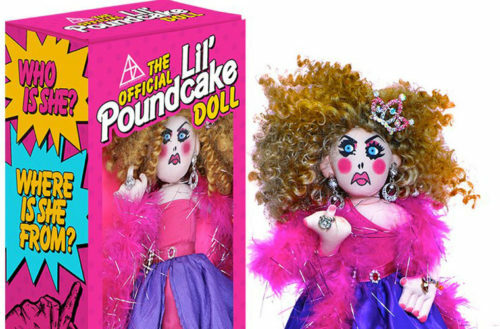 Any true fan of RuPaul’s Drag Race knows about Lil’ Pound Cake, Alaska Thunderfuck and Lineysha Sparx’s delightfully dirty drag daughter from a Season 5 mini-challenge. And for $90, you can buy the exclusive Poundcake package which includes the doll, a Lil’ Poundcake t-shirt or tank-top, a CD and a pin. I agree that Lil’ Poundcake is a part of the resistance. She stands up boldly against antiquated norms of heteronormativity and acceptable commercial beauty. She is liberated. She is a freedom fighter. And she also robs banks, which I think is great. The doll is sure to become a fan collector’s item, especially seeing as Alaska was recently crowned as the winner of RuPaul’s Drag Race All-Stars 2 last year. During All-Stars 2, Alaska even dressed up as Lil’ Pound Cake as one of her runway looks (complete with scowl and middle fingers). 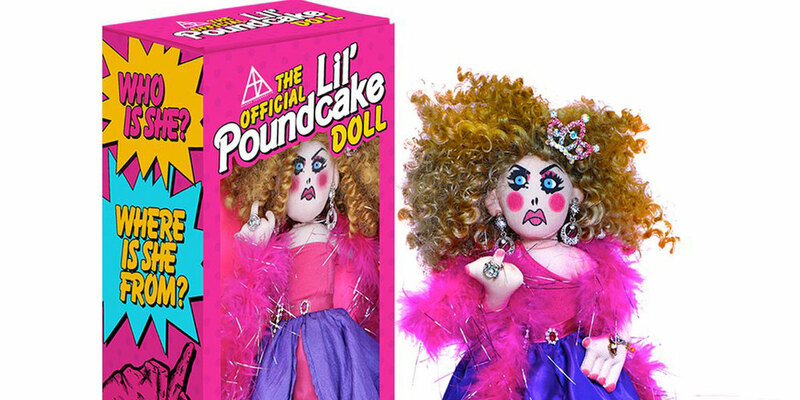 Thuderfuck also told Lil’ Pound Cake’s origin story in her music video for “Puppet,” which she released last fall — apparently Gertrude Poundcakenstein went mad after losing a junior drag pageant. Tragic.